Yesterday, I was discussing phobias with a friend, and came up with this idea, to find the most unique one available. Here’s the deal: leave me a comment on today’s post, which phobia you think is the most unique. The best will be featured in my fifth novel, DEATH MAP! 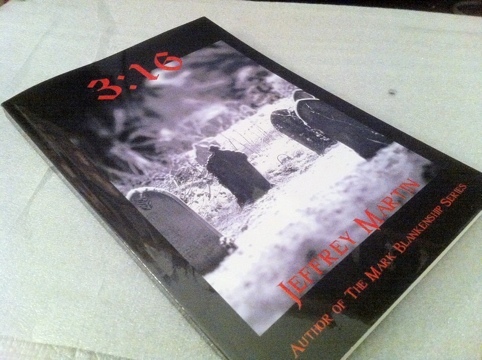 You will get an ebook of my latest work, 3:16, and a print copy of DEATH MAP upon release! So, without further ado, let’s get it started! BRAYTON AND HIS TRANSPORTER CAPTURE ME FOR AN INTERVIEW! This Friday morning I transport to pick up Jeffrey Martin, and once again, I end up getting nudged out-of-the-way of the control settings and soon we are whisked away to parts unknown. (What is it with these pushy authors, think they can take over my transporter anytime they feel like? Lol Just kidding.) Anyway, I’m a little wary because we’ve ended up at a strange house somewhere in possibly forgotten territory and…well, I’ll let the Mr. Martin take it from here. 1. Who is Jeffrey Martin and what makes you the most fascinating person in your city? 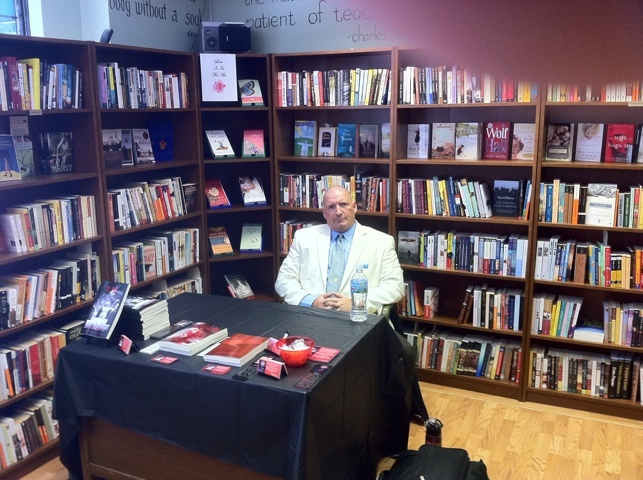 I am many things… A Law Enforcement official, a father to three young girls, a former semi-pro athlete, and now… it seems I have taken refuge in creating many tales of murder and mayhem. I think putting these all together have a direct correlation to where I envision myself in a few years. I think most people can be fascinating, and all possess something which propels them to higher echelon for what their niche is. No pun intended… So, in that regard, I’m just a little fascinating. I see dead people…no just kidding. 3. What interested you to be become a writer rather than something else such as becoming a nuclear physicist? One, I would look even more demented in the trademark pointdexter glasses, so a career in physics is definitely out of the question. Two, I left writing for many years before, I finally came back to it, in the early spring of 2007. Creating stories was how I spent a large amount of my childhood years, and sooner or later, I knew it would find its’ way into my life again. Hmm, it’s really dark in here…I think there something else is down here. 5. If I were stranded on a deserted island (or suffering a four-hour layover at the airport), why would your book(s) be great company? I enjoy creating a work that is a quick read for people who like to read thrillers, about serial killers. I keep word counts to a minimum, by not trying to add words just for the sake of upping the page count. Every word I put on the page is important to me, and I hope my readers can feel that as well. I try to entertain with a plot line, that is something different, and use my Law Enforcement background to create scenes, mood, characters and emotion, that will keep them coming back for more. Behold, another spider has surfaced in front of me… let’s grab a syringe to extract the good stuff. 6. Share the Martin process of writing in regards to: idea and character development, story outline, research (do you Google, visit places/people or make it up on the spot? ), writing schedule, editing and number or rewrites. 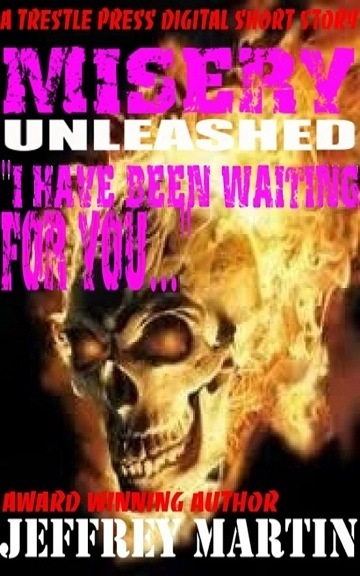 Hmm, I see you want to know the method of my madness. The first part of my writing process is, to create a list of characters I want to use in a story. I do put a few “real” places in my work, but most of the time, I just create new cities, and work from there. After I have those picked… sometimes, I even let my fans help me decide, by involving themselves on my website. I list a host of names, and they vote on which sounds best. After I have all the players established, I create an outline of the story. This is usually the first ten chapters or so. From that point, I judge it for flow, and plot line. If I like how it sounds, I move forward and chapter eleven is my focal point. But if the story sounds rushed or just not what I think it should be, I will delete everything except the characters and start over. So, let’s talk about a writing schedule. That is an interesting topic. I will tell you, while I’m in the creativity mode, I write all the time. I may plan for an hour a day, and within fifteen minutes of starting, I know, I’m going to need, three five hour energy drinks and my spouse is texting me to come to bed. So a schedule doesn’t work so well for me. The editing phase consists of three separate edits. After I have completed the rough draft, I will go back and scour the work for plot issues. Once I have those ironed out, I will wait about a week and get caught up on my iTunes purchases and Netflix movies before moving forward. After I have my iPhone loaded up with new music, I start a second edit, with emphasis on sentence structure, style and fixing small errors. Depending on how long my novel is, this process lasts for 1-3 months. Once, I’m satisfied the second editing phase is complete, I forward the document to my “Guru editorial advisor,” where she will go through my second edit, like a woman possessed. All errors are identified and I have a third edit to complete. This includes the rewrites of chapters as well. My advice is simple. Everyone has their definitive style when it comes to creating a work. I suggest, if someone wants to write and is serious about it, they do a few things. First, look for an online writing community, which will answer questions for you. I know many of the sites out there are helpful, and the knowledge a new writer gains from testing the waters, will be beneficial to their growth. Also, joining a writing group in your area, can be one of the best ways to get feedback from others looking to accomplish the same thing you’re looking for. Listen and learn and it will prove to be rewarding in more ways than just writing. The camaraderie of others may prove to earn you long-lasting friendships. 8. I saw a great T-shirt the other day which read “Every great idea I have gets me in trouble.” What is your philosophy of life? For me, this is the philosophy that has come into play. I once was an avid writer, and all of a sudden, I just stopped. Twenty some years later, I have picked it up again, realizing it was a mistake for me to have abandoned it. Have you ever seen a Brown Recluse bite? This doesn’t look good. Personal web site is… http://www.jeffreymartinsnovels.com. You can learn all about me and my demented writings. I think this is going to leave a mark… hehehehe…. Stepping Outside Your Comfort Zone! Many people read my work expecting a mass of intriguing crime scenes, that almost tip the scale when it comes to blood and gore! I love creating these works, but I recently asked myself if this was the only type of writing I could accomplish? Now, several weeks later, I realize, if I intend to become a author worth his salt, I need to expand my horizons and work on material which propels me from that little comfort zone I have established. I have started this process with two of my latest digital shorts, “House of Misery” and “Misery Unleashed.” These are stories you might classify as paranormal/horror, which may not seem to break my stronghold away from the bloodlust, but it does start me in another direction and hopefully more fans are receptive to this. I promise you, the serial killer tales will still be there, but there will also be some, that just might touch your heart. (Yes, just a little hallmark.) I always envisioned my writing having multiple phases, and within each phase comes new challenges. Each will be answered in due time and I hope all of you stay around to watch! Well, time to pen my upcoming short, which will knock your socks off. Hehe! Until next time…remember, death is only a click away!